Fine natural course on Rushmere Heath on the outskirts of Ipswich with most holes flanked by gorse or mature trees. In other words, brain rules over brawn here with anything too wayward bound to be penalised. 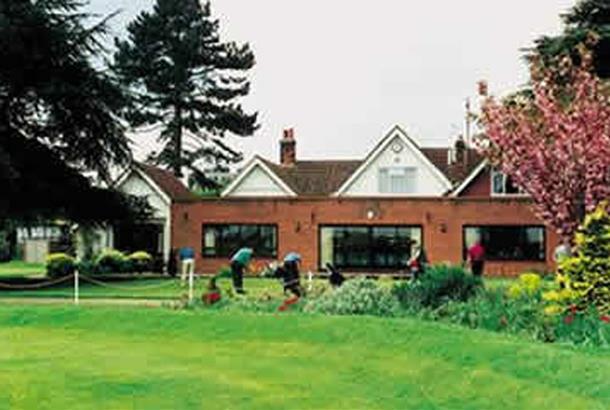 Rushmere Heath Golf Club is a fine natural golf course situated just on the outskirts of Ipswich. Most holes are bounded by gorse and there are many fine old oak trees providing not only natural habitat for birds and other wildlife but demanding care and accuracy from many of the tees. The golf course is more than 6,200 yards and enjoys the space and hole-by-hole separation afforded by the expanse of the heath. More than 400 acres of Rushmere Heath is registered common land, administered by a committee and, in addition to the 15 holes rented from the commoners, the club privately owns 17 acres which constitute the 3rd, 4th and 5th holes. Noticed the extremely friendly staff as soon as we entered the pro shop as the current pro is not only knowledgably but very friendly and happy to offer any advice before you're round. The course itself was in extremely good condition throughout considering the amount of sunshine we have had over the previous weeks...a little dry in places but what would you expect on a course where everywhere is open to the public to walk dogs etc etc...the greens are immaculate with often varying gradiends making them tough to read on many of the holes, some of the elevated tees make for some very picturesque holes also. All in all a very challenging course with varying types of long/short, tight/open, straight and dogleg holes, my only gripe would be the amount of dog doo doos left on some fairways and the amount of people you get on the course going for a walk or run...this is just one of those unfortunate problems you will have to face if you want to play this gem of a heathland course...well worth a visit!! !